The St Pat’s Ramble starts at the corner of Union Street (Route 211) and River Street in the village of Montgomery, NY. 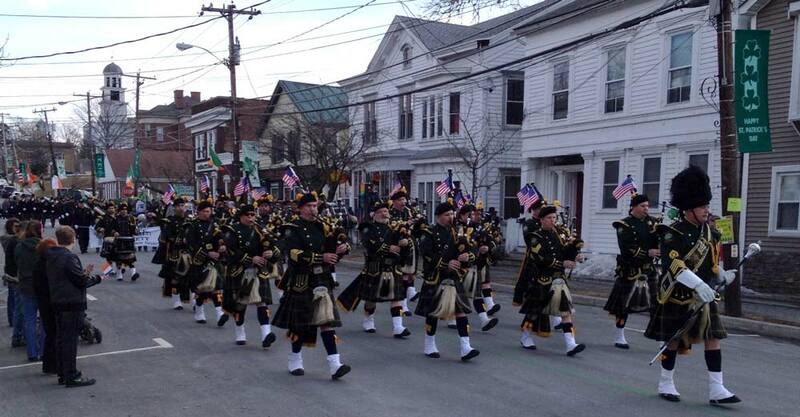 The parade marches down Union Street (Route 211). Makes a left on Clinton Street. And then makes a left on Bridge Street where the parade ends. There is bleacher seating at St. Mary’s Church on Union Street providing an ideal location to take in the entire parade. The St Pat’s Ramble Grand Marshal Band Stand is between Clinton and Union Street. There is sidewalks on both sides of the street to view the parade along the marching route. The St Pat’s Ramble starts promptly at 1:00 PM. There is no parking on the parade route: (Union, Clinton and Bridge Streets will be closed). Parking is available on any of the side streets close or adjacent to the parade route. The parade begins at 1 pm, so come early. the Village of Montgomery, NY will close Union Street (Route 211) at 12:30 pm. If you are marching in the St Pat’s Ramble the committee requests you to start arriving at 11 am and the latest is 12:15 pm. That’s the LATEST!!! 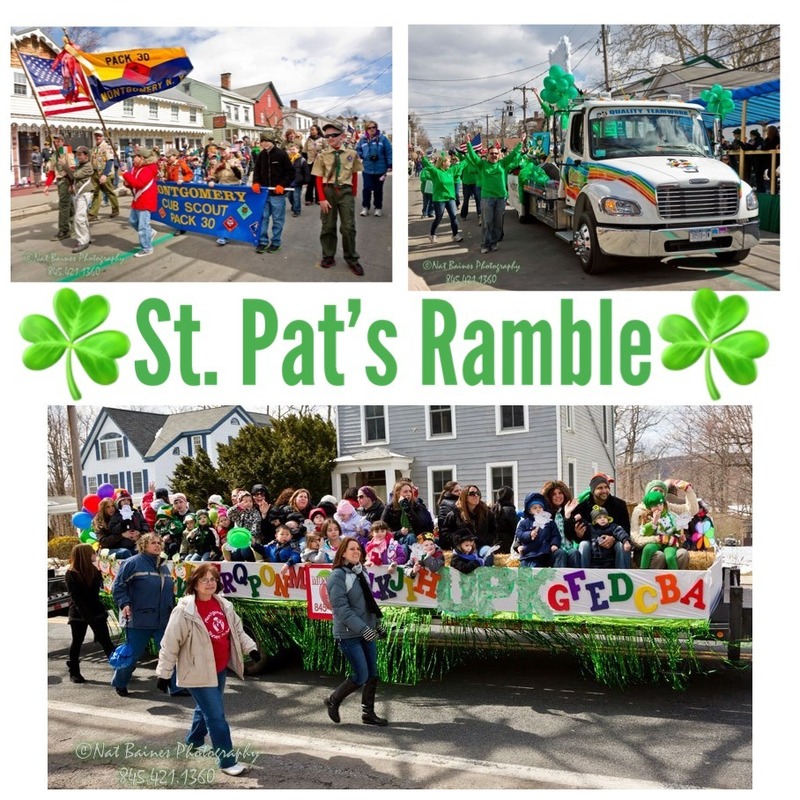 The Village of Montgomery, NY does close all the parade streets at 12:15 pm sharp, after that public parking for the parade is at the beginning of the St Pat’s Ramble at the Montgomery Elementary School. PARADE LINE UP IS RIGHT ACROSS THE STREET ON RIVER STREET FROM THE SCHOOL. There will be Parade Marshal to help you line up and point you in the right direction. Dive up Union Street past the elementary school parking to Weaver Street. Make the Right onto Weaver and then make a right onto Pleasant Avenue. Then make a right onto River Street (St Pat’s Ramble Parade Marshals will be on hand to help you for the parade line up).